There was a music festival in Toronto the last few years called the Toronto Urban Roots Festival. I moved to Toronto the same week as the first one, and went to the next three, until this year it succumbed to various difficulties and died off. A cynic could look at music festivals as corporate schemes to separate people from as much as their money as possible, but for me going felt sort of like my own new years party, and I made friends, danced with strangers in mud puddles, and happily lost some hearing. I was sad to see it go. 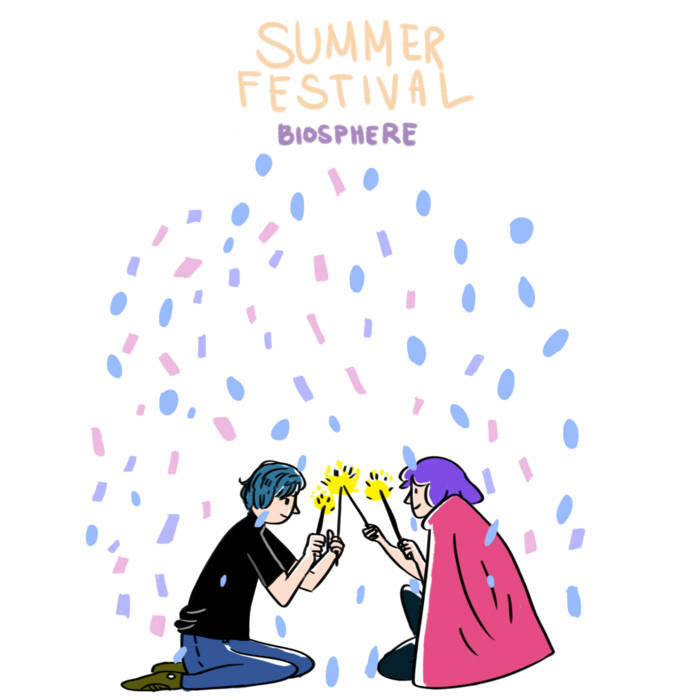 Toronto chill-hop artist Biosphere has a new beat tape that is sure to summon up lots of nostalgia for your past festival going adventures. An easy-going collection of guitar driven beats, it has a truly romantic feel. And earthy too, as many tracks incorporate the natural sounds of breezes, brooks, and birds. The tape is something like a raspberry lemonade slushie, and every track like a mouthful of ice you swish around with your tongue before gulping down. Make sure you check out the swooning melodies of “It’s A Great Big World”, the liquid rejuvenation of “Down By The Brook”, and the gentle yearning of “Living the Sweet Life, But Still Tastes Bitter”. But make sure you get comfortable and relaxed when you do. Laziness is a virtue here, so take it easy.